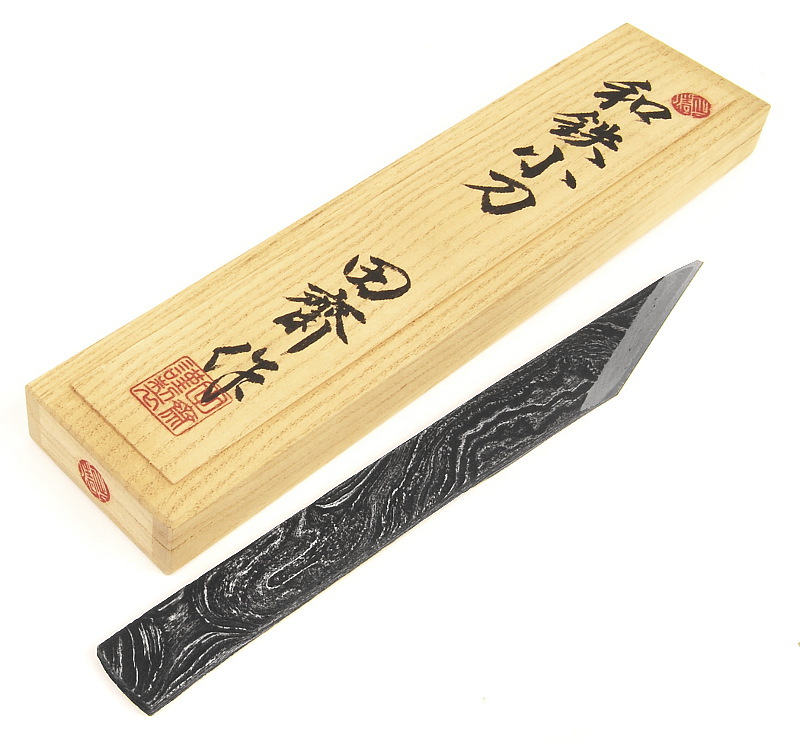 TASAI Watetsu Kiridashi Kogatana This beautiful, hand forged carving knife is made of laminated Damascene steel crafted from 19th century iron (Watetsu). 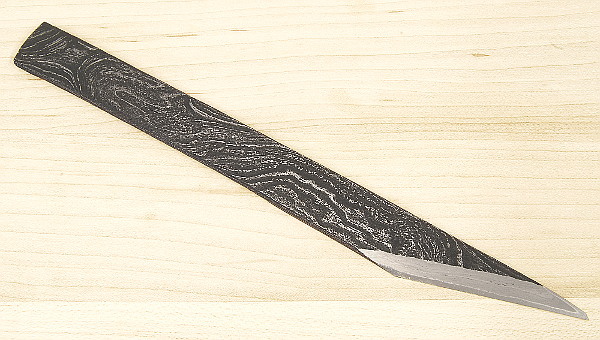 The knife is 215 mm long, approx. 20 mm wide and 2.5 mm to 3 mm thick. The cutting edge made of blue paper steel is approx. 65 mm long. The knife comes in a wooden box made of paulownia.